As New England starts preparing for Hurricane Sandy’s expected landfall, don’t forget to make sure your generator is ready for the impact. The Massachusetts Emergency Management Agency (MEMA) is predicting significant impacts to Massachusetts from the storm including downed powerlines, associated blackouts, and coastal flooding. (If you remember, in 2011, thousands of Mass residents went without power for several days after a freak October storm that downed powerlines.) Experts are predicting up to a billion dollars of damage could result from the storm – to put that in perspective, “The Perfect Storm” that hit the East Coast in 1991 caused 200 million in damages. Don’t roll the dice on this happening to you or your business. A fueled up, properly operating generator is absolutely essential to ensure staff safety, protect crucial computer data, and keep your business’ critical operations from grinding to a halt. Dennis K Burke is standing by, on call, to handle your generator fuel needs. 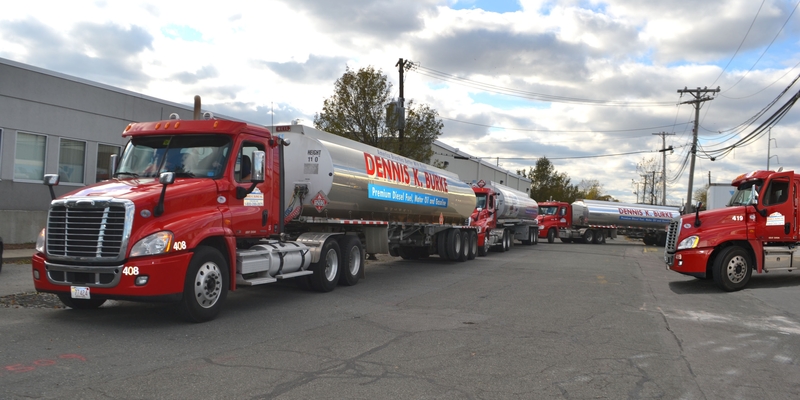 We are on call 24-7-365 and run a full staff of drivers 7 days a week to ensure that your fuel needs are met. No matter what the emergency – we’ve got you covered. We would also like to remind you that we have an Emergency Generator Fueling Program to ensure that a key part of your reliability plan for backup power is not overlooked going forward. On this program, when the power is out, we guarantee fuel deliveries to keep your generator operating until the power outage is resolved, regardless of how long that might take. We have the fuel storage, the trucks, and the manpower to back it up. To place an order for your generator, or to find out more about the program call us at 617-884-7800, or email us at insidesales@burkeoil.com. Any one of our dedicated, professional staff members can assist you.